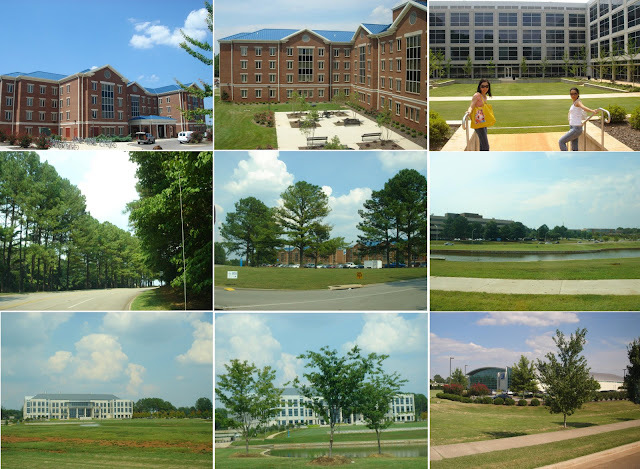 UAH campus surroundings...huge campus with lotsa buildings...but I hadn't had time to take more nice photos yet. 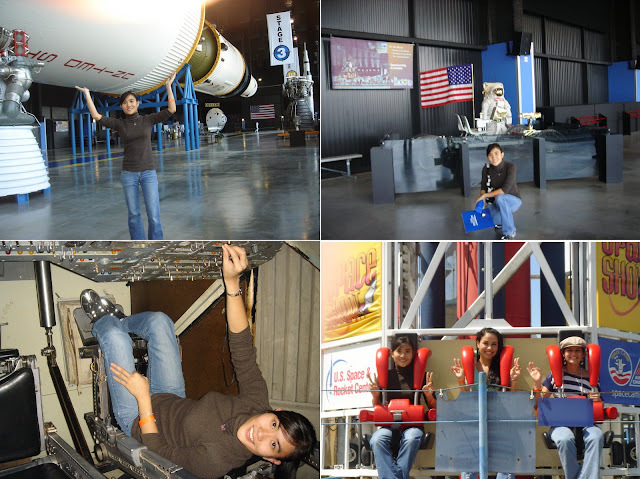 10 Aug 2008: The international office gave all international students a free trip to Nasa Space & Rocket Center!! It was my first time seeing rockets!! 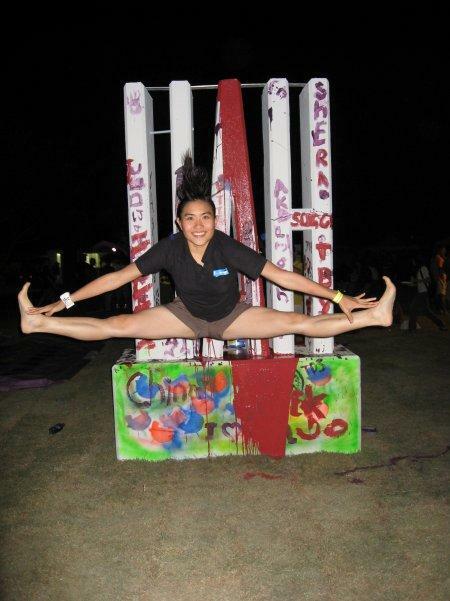 Had lotsa fun trying wall climbing, Space Shot and G-Force! 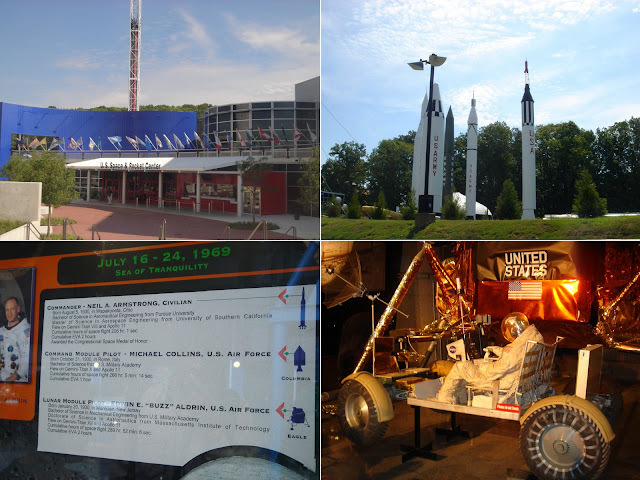 This Space Center is the main attraction in Huntsville...that's why it is called 'Rocket City'! A great place to learn more about the journey to the space!! 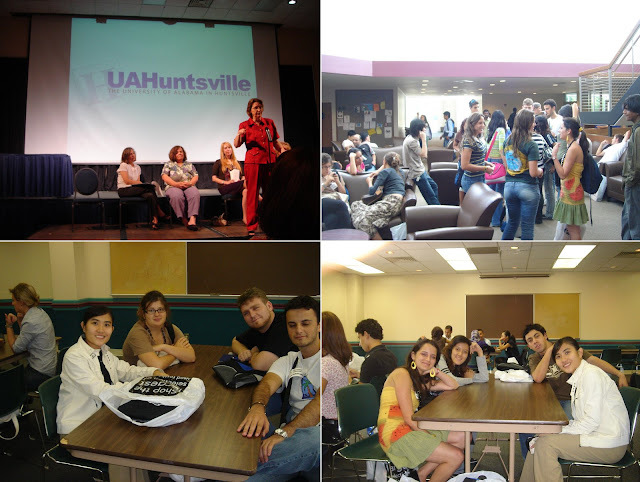 All 2008-2009 sponsored international students in UAH!! 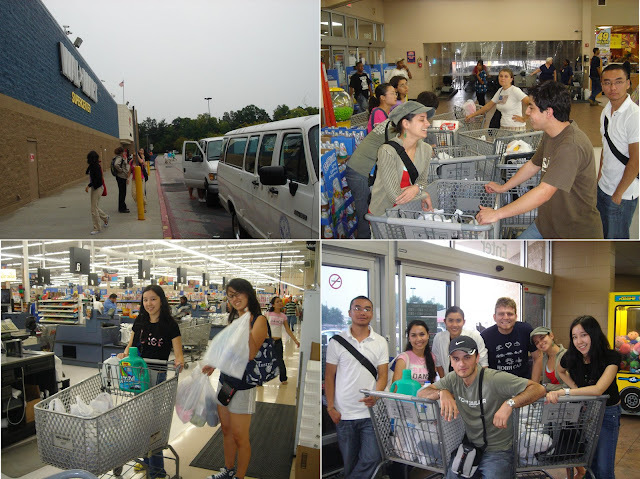 12 Aug 2008: 1st trip to Wal Mart!!! Madison Square...the only mall that I've been to so far! 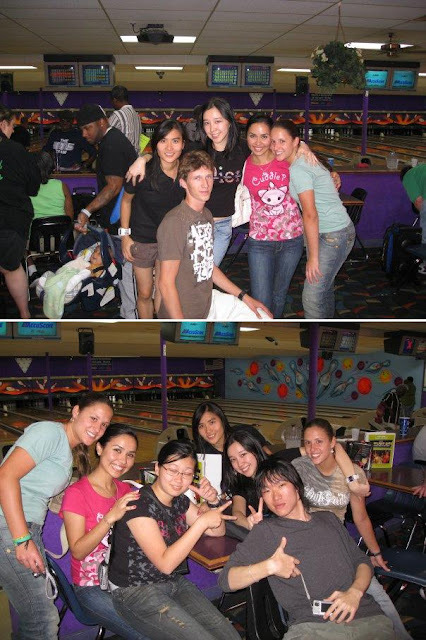 Went for bowling with other international students, Sergey, Mark & Steve. 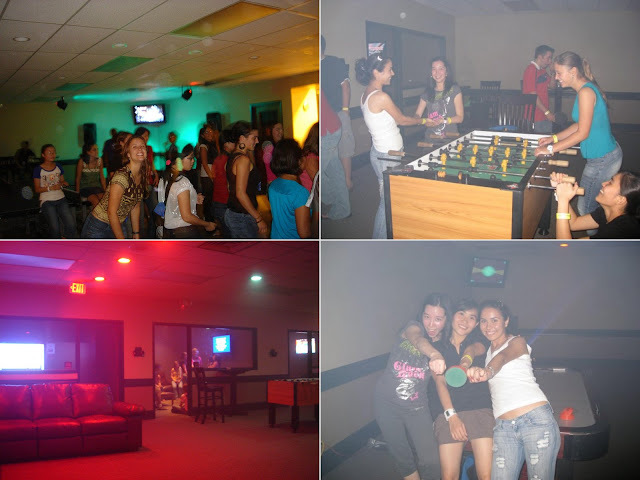 The game room...equipped with karaoke, video games, fussball and table tennis! Cool! 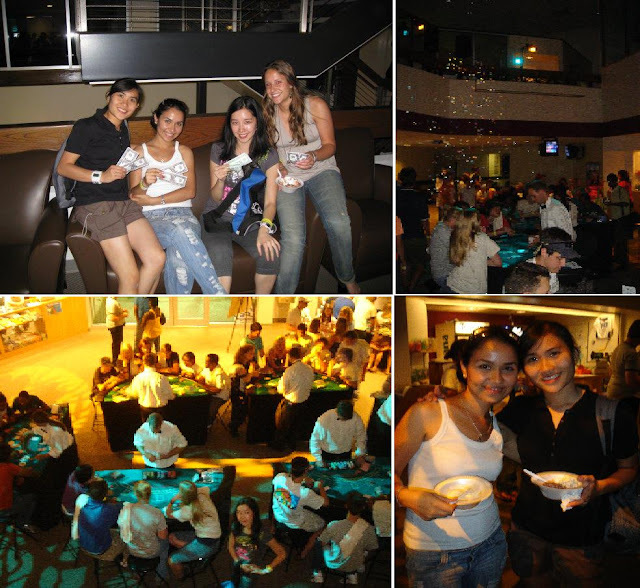 15 Aug 2008: Casino Night. I didn't play coz I don't really know much about gaming...hehe!! Foam Party!!! That was really fun!!!! Love it!!! 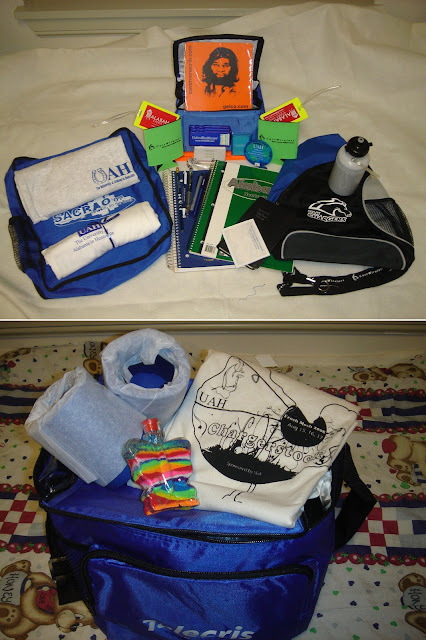 My 21st birthday presents from Sabina, Cristinna & Uyanga!! Thank you so much!! Appreciate it! 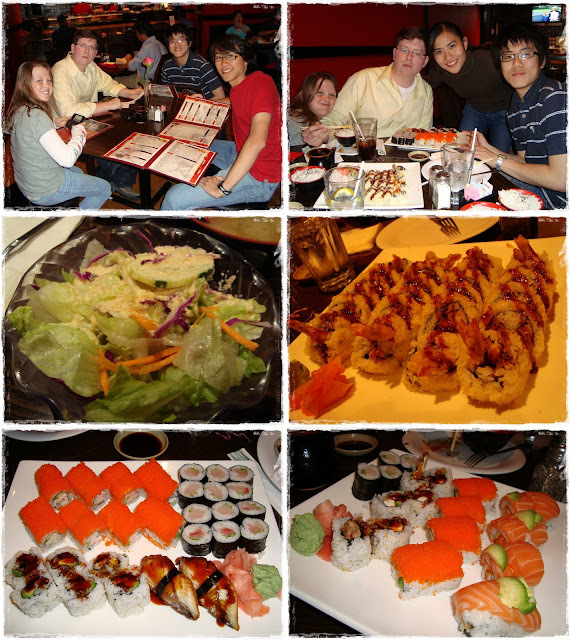 17 Aug 2008: Convocation. 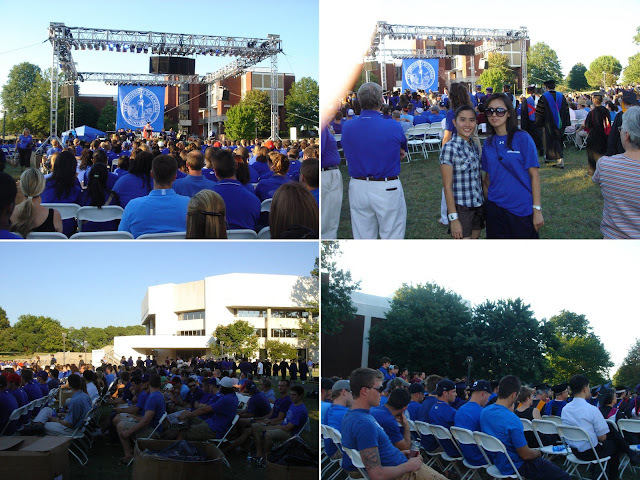 Everyone was wearing blue T-shirts...nice!! It was my first time attending this kind of event...it was a good experience! They even had a drum ceremony where everyone was given a drum and played together with the group from Drum Cafe!! President's Picnic. 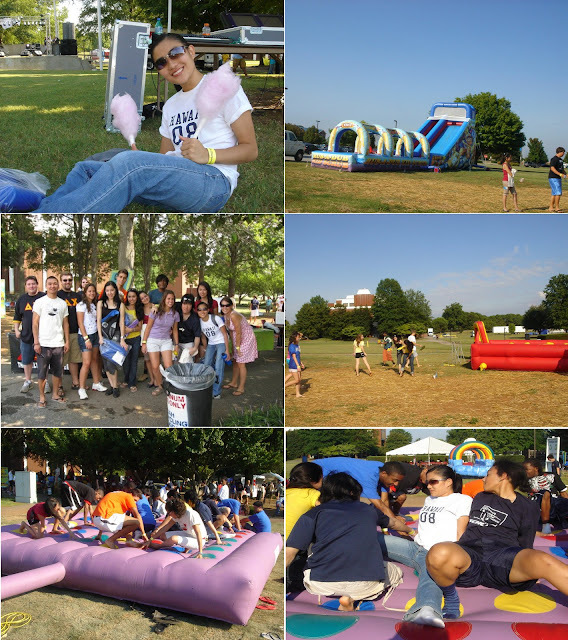 Food, live music, dance and fireworks!!! It was definitely a memorable experience to spend my 21st birthday here with a bunch of new friends...and also a great party!! 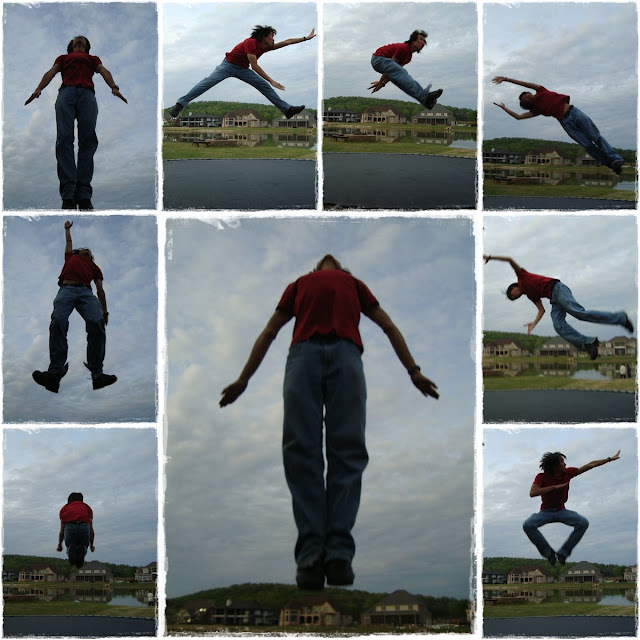 Skydiving...like the one in Genting...but this is open air....COOL!! 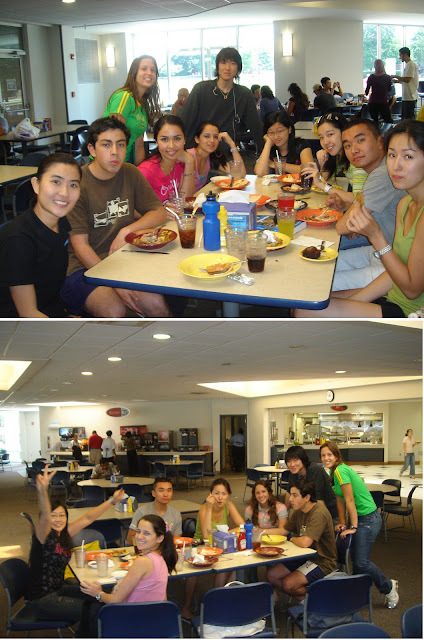 Went for the free Latin Fushion and Yoga class last week at the University Fitness Center. 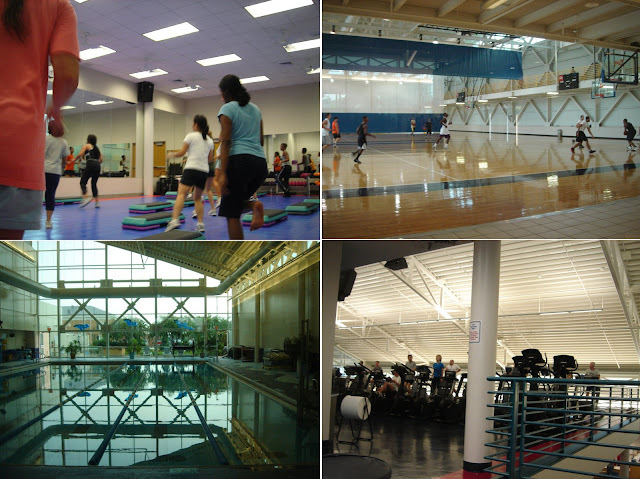 Basketball court, swimming pool & gym...very nice!!! Bro & his Taiwanese friend, Tony followed Evan back to Huntsvlle over the weekend. Bro was lucky to know Evan, that was how he managed to come over to Huntsville to meet up last winter & this time...hehe!! 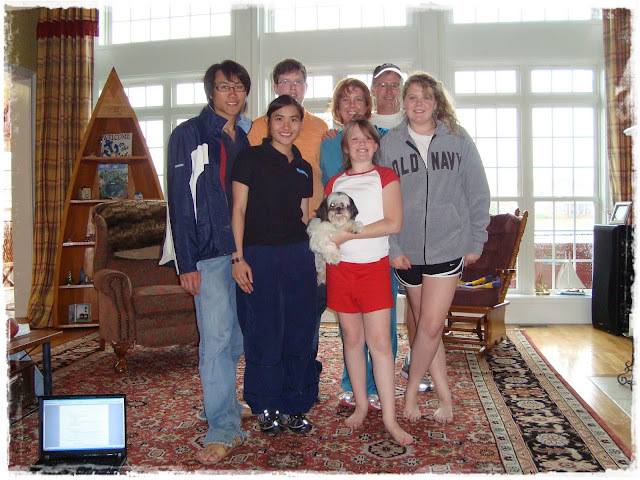 They knew each other coz he's a Chinese major in Ole Miss & bro was helping to tutor some of the Americans who are learning Chinese. He was a good host for inviting 3 of us 'foreigner' to spend the weekend at his family's house. 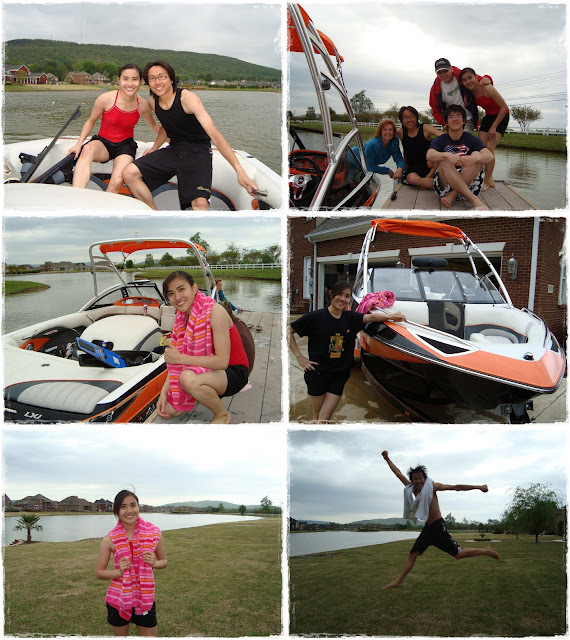 We all had a great time hanging out together and also tried water-skiing for the first time ever with Evan's family...it was soooo much fun!! Wished the weekend was longer!! I was really surprised to know that so many 'ang mohs' are also learning Chinese...we're definitely very fortunate to have the opportunity to learn 3 languages in school. 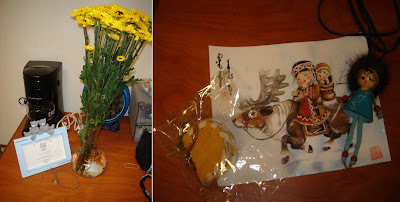 Being Chinese ourselves...we'd better know our mother tougue...no offense to 'bananas' though. Before coming here to US, I've never realized that we are very 'multi-lingual' and it was such an advantage. When people asked me what languages I know...I just listed out without even thinking...English, Chinese, Malay, Cantonese, & Hokkien...5 languages. Then they'll give me a surprised look...and said...wow, so many languages?! First stop...Bridge Street. 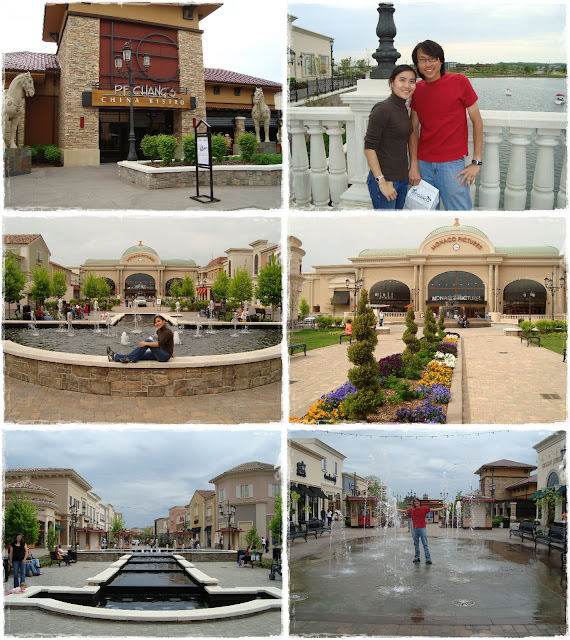 I finally had chance to take day picture here...good timing coz I'm leaving Huntsville soon. 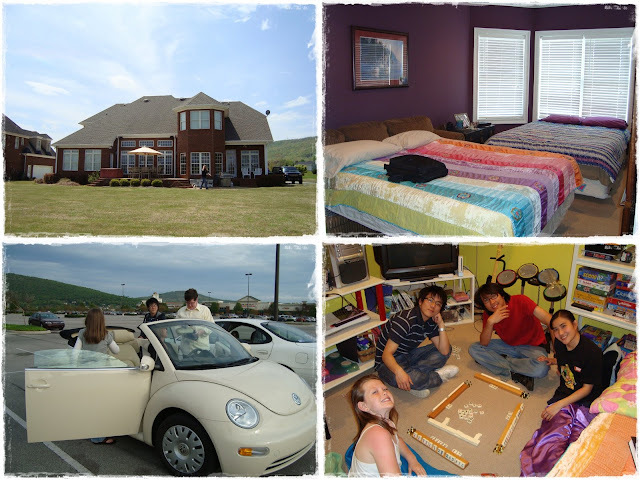 Their house is nice! We are sooo 'Asian'...not enough kaki so taught Madison to play mahjong. Surprisingly they had mahjong at home...hahaha!! 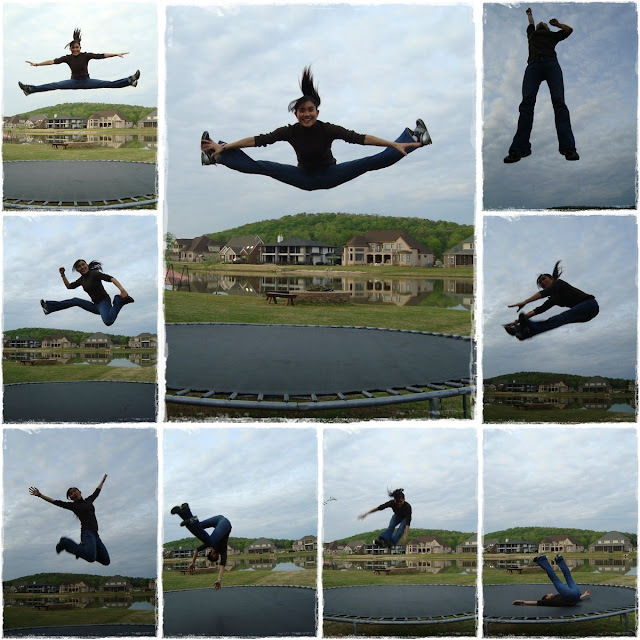 This was what we did when we were 'eat full too free'...posing on the trampoline...hahaha!! :)) Look at bro's interesting poses!! 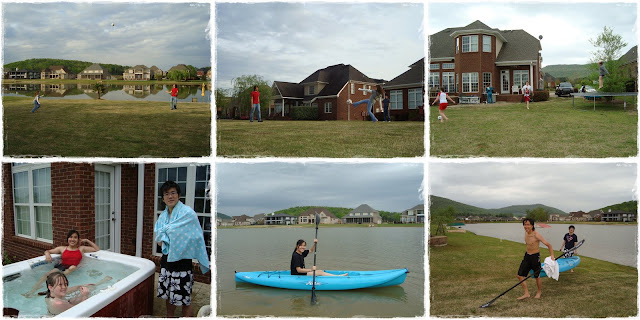 We were like having a vacation...soccer, trampoline, hot tub, kayak...with such a beautiful view!!! 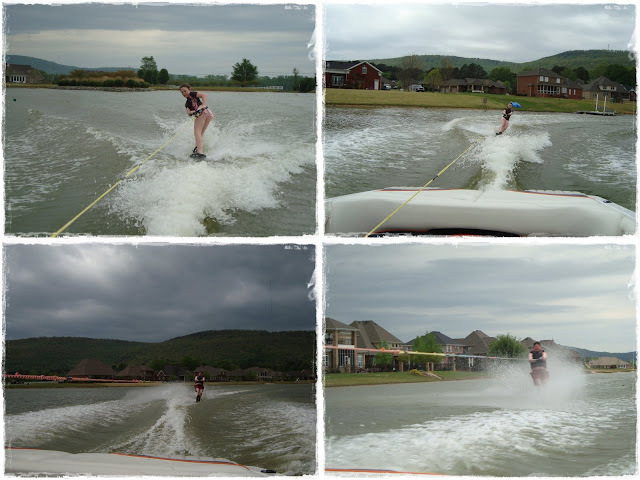 My first water ski attempt...the water was cold but it was so much fun!! This 'process' repeated several times....hahaha!!! Evan's family was our water ski teacher for the day....yeah!! Their boat is cool~!! 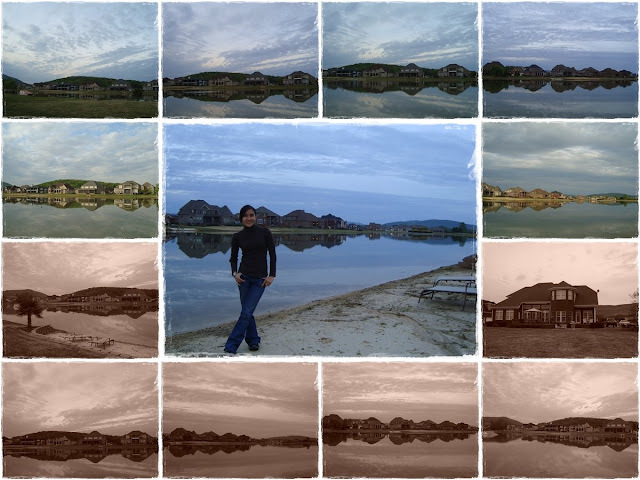 Awesome view at the surrounding....wish I can own a house like this in the future! !